http://www.sevillafc.es/ https://shop.sevillafc.es y http://live.sevillafc.es/ are Internet domains owned by SEVILLA FÚTBOL CLUB S.A.D. 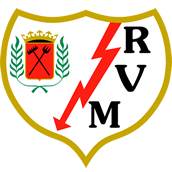 with Tax ID: A41035346 and address at calle Sevilla Fútbol Club s/n, 41005 Sevilla. Commercial Register of Seville Volume: 1562, Folio: 32, Page: SE-8267, Entry: 1 (hereinafter the Owner). By accessing the Website the User declares that he/she has read and accepts this Legal Notice with all its conditions of use. In any event, this Legal Notice is mandatory and binding; any person who does not accept its conditions must refrain from using the Website and/or the services promoted by the Owner through it. These conditions do not create any partnership, mandate, franchise or employment contract between the Owner and the Users. This Legal Notice regulates the use of this Website, which the Owner makes available to those who access it in order to provide information about its own products and services and/or those of third party partners, and allow them to access and hire them. This Legal Notice is subject to the provisions of Act 15/1999, of 13 December, on the Protection of Personal Data, its Implementing Regulation, RD 1720/07, EU Regulation 2016/679 of the European Parliament and of the Council of 27 April 2016 on the protection of individuals with regard to the processing of personal data and on the free movement of such data and repealing Directive 95/46/EC (General Data Protection Regulation), Act 34/2002 of 11 July, on Information Society Services and Electronic Commerce, Royal Decree-Law 13/2012 of 30 March, transposing directives on the internal electricity and gas markets and on electronic communications, and adopting measures to correct discrepancies between the costs and revenues of the electricity and gas sectors, Act 3/2014 of 27 March, amending the consolidated text of the General Law for the Defence of Consumers and Users and other complementary laws, approved by Royal Legislative Decree 1/2007 of 16 November, General Law 26/1984 of 19 July on the Defence of Consumers and Users, Royal Decree 1906/1999 regulating telephone or electronic contracting, Act 44/2006 of 29 December on the improvement of consumer and user protection, Directive 2011/83/EC of the European Parliament and of the Council, of 25 October 2011, on consumer rights, Act 7/1998 of 13 April 1998, on General Terms and Conditions of Business, of 17 December 1999, which regulates telephone or electronic contracting with general conditions, Act 17/2009 of 23 November 2009, on free access to and exercise of service activities, Act 7/1996 of 15 January 1996, on the regulation of retail trade, as well as any subsequent regulations that amend or implement them. Both access to the website owned by the Owner and the use that may be made of the information and content included therein shall be the sole responsibility of whoever makes it. The conditions of access to the Website shall be subject to current legislation and the principles of good faith and lawful use by the User thereof, any type of action to the detriment of the Owner being generally prohibited. Any use of the Website for illegal or unauthorized purposes is strictly prohibited. The Owner reserves the right to amend, at any time, the presentation and configuration of the Website, as well as this Legal Notice. Therefore, the Owner recommends the User to read them carefully each time he or she accesses the Website. You will always find the Legal Notice easily visible and freely accessible for any queries you may have. 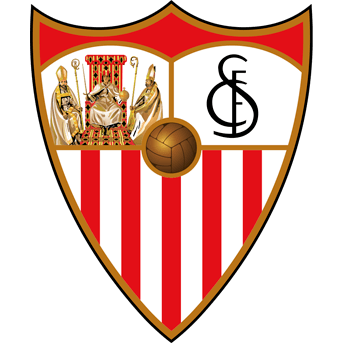 http://www.sevillafc.es/ is the Website of the Owner and serves as a tool for general information about the Club as well as for hiring the services and products offered. To be able to make purchases of products it is first necessary to register. By registering as a Registered User you confirm that you are of legal age, have the capacity to contract or have the express authorization of your legal guardian (hereinafter also referred to as the "Registered User") and that you accept all the conditions of this Legal Notice. Once registered, the User may make purchases of the products he/she chooses, subject to the specific terms and conditions. The user ID will consist of your email address and a password. The password must be at least 5 characters long. We recommend using a strong password that consists of more characters, does not use common words or names, and combines uppercase, lowercase, numbers and symbols. The use of your identifier and password is personal and non-transferable, and it is not permitted to assign them, even temporarily, to third parties. In this regard, the User undertakes to use them diligently and to keep them secret, assuming all liability for the consequences of their disclosure to third parties. In the event that a user knows or suspects that his/her password has been used by a third party, he/she must notify us immediately. The Owner may interrupt the service to any User who makes an unethical, offensive, illegal, or incorrect use of the contents or services of this Website and/or a use contrary to the interests of the Owner. It also reserves the right to reject any application for registration or to cancel a previously accepted registration, with no obligation to communicate or explain the reasons for its decision and without this giving rise to any right to compensation or indemnification. The Owner reserves the right to interrupt or cancel the Website or any of the services on it, at any time and without prior notice, for technical or other reasons, and may unilaterally amend both the conditions of access and all or part of the contents included therein without prejudice to the rights acquired at that time. The links contained in the Website may lead to third party websites. The Owner assumes no liability for the content, information or services that may appear on such sites, which will be exclusively informative and in no case imply any relationship between the Owner and the persons or entities owning such content or owners of the sites where they are located. The Owner is not liable under any circumstances for any damage that may be caused by Users to this Website, or any other, by the illegal or improper use of the website or the content and information accessible or provided through it. The Owner shall not be liable for infringements by users of its website that affect third parties. The Owner does not guarantee the reliability, availability or continuity of its Website or the Services, so the use thereof by the user is carried out at his or her own risk, and at no time may the Owner be held liable for such use. The Owner shall not be liable in the event of interruptions in the services, delays, malfunctions and, in general, other inconveniences arising from causes beyond the control of the Owner, and/or due to wilful misconduct or negligence of the user and/or caused by acts of God or force majeure. Without prejudice to the provisions of article 1105 of the Civil Code, the concept of force majeure shall also include, for the purposes of this Legal Notice, all events beyond the control of the Owner, such as: failure of third parties, operators or service companies, acts of government, lack of access to third party networks, acts or omissions of public authorities, others occurring as a result of natural phenomena, power cuts, etc. and the attack of hackers or third parties specialized in the security or integrity of the computer system, provided that the Owner has taken reasonable security measures in accordance with the state of the art. In any event, whatever the cause, the Owner shall not be liable for any direct or indirect damages, consequential damages and/or lost profits. The Owner will try as far as possible to update and rectify any information stored on its Website that does not comply with the minimum guarantees of accuracy. Nevertheless, it informs that there may be unintentional errors of any kind and the User is free to check the content. In this regard, the Owner has no obligation to control and does not control the contents transferred, disseminated or made available to third parties by Users or collaborators, except in cases where required by current legislation or when required by a competent judicial or administrative authority. The Owner may not be held liable for the use of this Website by third parties or any references that may exist on third party sites. The Owner shall at all times ensure that the products offered meet the highest quality standards and shall allow returns or exchanges if a product does not satisfy Users for any good reason. Each buyer shall be responsible for reading and following the rules of use of those products that include them and therefore shall be liable for any damage that may be caused by failure to respect such rules. The Owner shall not be liable in any event for the misuse of any of the products. The information contained in the instructions for these products cannot under any circumstances be considered as a basis of guarantee or as the subject of liability. Users shall hold the Owner harmless from any claim or demand from third parties related to the activities promoted on the Website or for the breach of the General Conditions of Use and other policies that are deemed part of this document, or for the infringement of any laws or rights of third parties. If any clause included in this Legal Notice or in the rest of the legal and informative text of the Website is declared totally or partially null and void or ineffective, such nullity or ineffectiveness shall affect only that provision or part thereof that is null and void or ineffective, and the rest of the conditions established in all other respects shall remain in force, and the provision or part thereof that is affected shall be deemed null and void. All notifications, requests, petitions and other communications to be made by the parties in relation to this Legal Notice or other legal and informative texts must be made in writing and shall be deemed to have been duly made when they have been delivered by hand or sent by ordinary mail to the address of the other party or to the e-mail address of the latter, or to any other address or e-mail address that each party may indicate to the other for this purpose. The intellectual property rights of this Website, its source code, design, browsing structures and the different elements contained herein are the exclusive property of the Owner, who is entitled to exercise the rights of use thereof in any form and, in particular, the rights of reproduction, distribution, public communication and transformation, in accordance with the applicable Spanish and European Union legislation. The total or partial reproduction of the contents of this Website without the express written consent of the Owner is strictly prohibited. Unauthorized use of this content by any other person or company shall result in the legally established liabilities. The Owner shall market the products under the Registered Trademarks and with its own trademarks, being the legitimate owner of the Registered Trademarks and the material for the promotion of the product. The Owner may also display or market third party Trademarks on the Website. Such third parties are the legitimate owners of the Registered Trademarks and the promotional material that they may make available for the promotion of the product and grant the Owner the necessary authorization for the use thereof without under any circumstances considering this an assignment of their ownership, the third party concerned being solely responsible for any claim brought by third parties in relation to the use of the Trademark and exempting the Owner from any liability for intellectual property rights. Any kind of use, including any kind of reproduction, distribution, transfer to third parties, public communication and transformation, through any type of medium, of the aforementioned works, creations and trademarks without the prior and express authorization of their respective owners is prohibited. Failure to comply with this prohibition may be an infringement punishable by law. It is prohibited, except in cases expressly authorized by the Owner, to present this Website or the information contained therein under frames, brand names, trademarks or corporate or commercial names of another person, company or entity, expressly including the photographic content, which is considered the exclusive property of the Owner. Infringement of any of these rights may constitute a violation of these conditions, as well as an offence punishable under articles 270 et seq. of the Criminal Code. Those users who send to the Web Site observations, opinions or comments through the email service or by any other means, in the cases in which by the nature of the services it is possible to do so, are deemed to authorize the Owner for the reproduction, distribution, public communication, transformation, and the exercise of any other right of use of such observations, opinions or comments, throughout the period in which copyright protection is legally provided and without territorial limitation. This authorization is also deemed to be free of charge. For any questions that may arise regarding the interpretation, application and fulfilment of this Legal Notice, as well as any claims that may arise from its use, all the parties involved shall submit themselves to the appropriate Judges and Courts according to their jurisdiction.